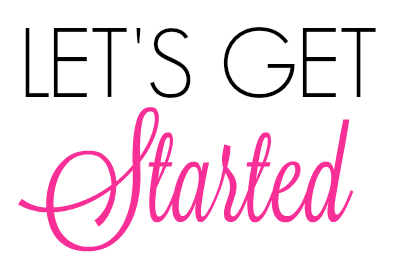 You are here: Home / Lifestyle / Fashion / The Fall Fashion Essentials You Need This Season! #FallLooksForLess with #George! Fall Fashion Essentials You Need This Season! Fall is one of my favourite seasons. The leaves start to turn to bright and vibrant colours, there are endless pumpkin spice pickings everywhere and there is a slight chill in the air that facilitates the need to wear cute and warm fall fashion. In fact, I think that fashion is one of the best things about this season! I prefer the tights, boots and knit-sweaters but, whether you go for layering tanks and tees or sporting casual dresses, there’s something truly gratifying about putting together the perfect fall outfit. I had the chance to head to Walmart and shop for the latest fashion essentials from their private apparel line, George. I decided to put a few outfits together that are casual, cozy and perfect for the mom on-the-go. I used a couple of staple items that can be interchangeable and that help give you a new look while keeping cost down. While I like getting dolled up every once in a while, I much prefer casual clothes that can keep up with me and still be fashionable. I do love getting key items that can dress up your basics. Luckily at Walmart, you can find affordable essentials for less and that will suit every kind of style! Grab those leggings and that comfortable printed tee! Pair it with a gorgeous and cozy knit sweater and you’ve got a polished look. I chose a monochromatic look and used variations of grey. The George leggings are one of my favourite items; they are super affordable at $7.97 and can be worn with pretty much anything. George had these super cute asymmetrical printed tees with moleskin backs that are not only trendy but, soft and comfy. I finished the look with my favourite pair of strapped combat boots, a silver clutch, a grey suede choker with silver triangles from Walmart, triangle earring studs from Walmart, a silver ring with an onyx gem and of course, my Apple watch and iPhone. Finish with your favourite pair of sunnies and you’re good to go! Layers and a Pop of Colour! As you can see, I love darker tones but with that said, I do enjoy adding small pieces that give my outfit a pop of colour. That’s why I paired my favourite George leggings and dark grey knit cardigan with a cold-shoulder shirt and my favourite chunky teal necklace. I love the idea of layering, since early mornings can be chilly and then during the day it tends to warm up. During the evening the temperature drops and you crave warmth of your layers again. Wrapping yourself in a fuzzy sweater does the trick. Hit the town for your daily errands with your favourite laced canvas boots; comfy and stylin’! 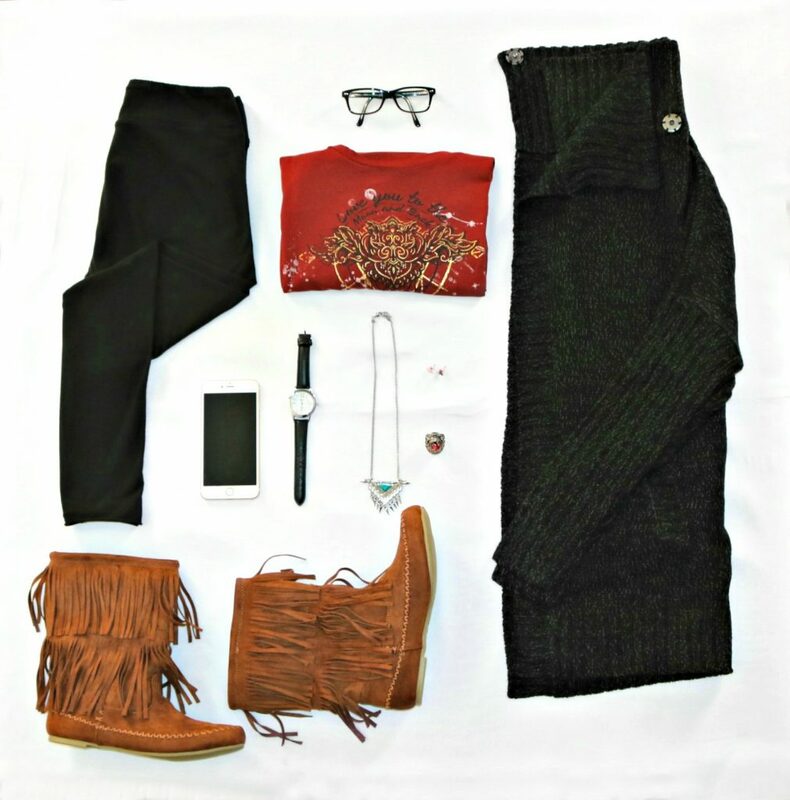 Use the George leggings and dark grey knit cardigan to make another look! Wear a soft moleskin printed tee, a native-inspired necklace, silver ring with a maroon gem, simple black watch and triangle earring studs. I bought these brown moccasins at Walmart too and they really complete the outfit. Again, the layers help with the changing temperatures of a fall day- the outfit just works! Get Your Fall Looks for Less! Fall is the best season for fashion, in my humble opinion. You don’t have to pay a fortune to look stylish and polished. If you aren’t into darker tones like me, you can find lots of classic jewel tones this season at Walmart as well. Wearing a statement knit-sweater in different colours and layering an outfit can make a world of difference. You can swap tees, boots and accessories to play up or play down your looks. I picked up my George dark grey knit cardigan from Walmart for $29.97 and I can use it to complement various outfits! For more information and to shop Walmart’s George collection, head to your nearest Walmart or visit www.walmart.ca! Follow Walmart on Facebook and Twitter for the latest updates and deals! What is your favorite fall fashion statement item? Previous Post: « 7 Top Gifts That New Parents Really Need! Thanks! It can be really simple but with a few staple items, you are good to go. I am in love with those brown Moccasins. I will have to check out my local Walmart for a pair. I have been stocking up on sweaters for the cooler weather. Me too, I love knit sweaters! I love to layer my clothes this time of the year. I am going shopping for a few new pieces this week. I love the layered look. I am so happy for the cool weather. I can finally get out all my favorite fall sweaters. I love the layers too, always a part of my style. I am loving all of these different looks. Fall fashion is really my favorite time of the year. How cute are those boots?! I am seriously in love and have been looking for a style like that for a while. I am a monochromatic type of girl when it comes to my wardrobe. I love that Fall colors let you wear darker colors. Yes, though I try it all year-long! O I love those outfits. I totally need help in my wardrobe arena, thank you! Very nice fall fashions here. I plan on sharing this information with family. we were at Walmart today, great stuff indeed! Okay those boots are to die for! Boots are my favorite part of fall fashion. Me too, along with knit sweaters! I love all the outfits you pulled together with those fabulous George leggings! Definitely a fall favorite for me and a staple in my wardrobe! 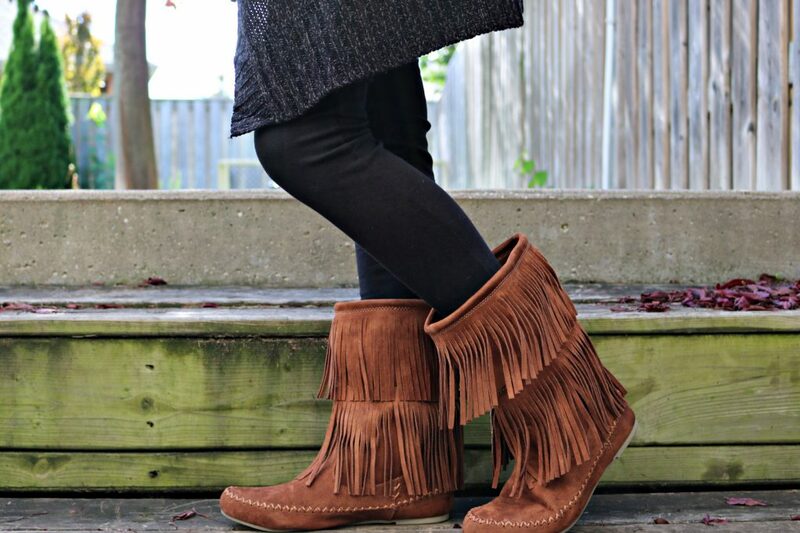 I love these fall boots and looks! I think all of them are perfect for the chilly fall weather. It is great for the chilly weather, that is for sure! Thanks, I love them. They are super comfortable! I have noticed my granddaughter has these boots on her wishlist !! They certainly are nice ! Thanks for that! They are comfy too. Thanks! Cannot go wrong with the knit style!